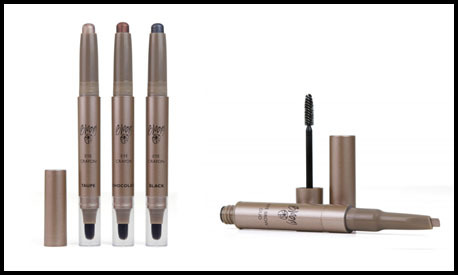 These products were released by Bloom cosmetics on 3 October 2011 as part of the Belle de Jour Colour Collection, and I think you should all run out and buy them before they are sold out! This is, in my opinion, the absolute star of the collection. Okay, I didn't try everything, but eyebrows are a really big issue for me. 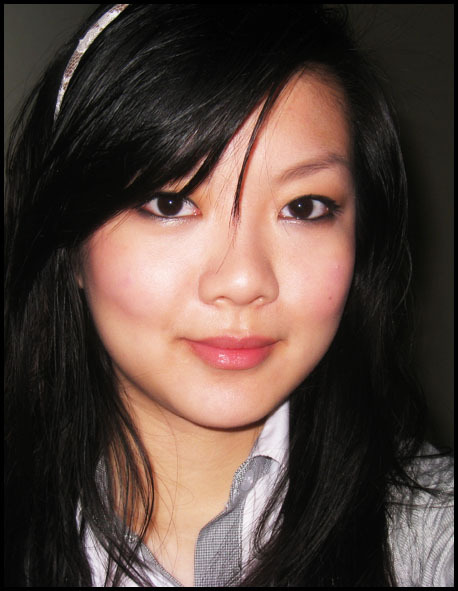 I have extremely sparse eyebrows that don't look like anything, so I always, always need an eyebrow pencil with me. My eyebrow hairs also grow really long, which means that a lot of the time, they're quite out of shape and difficult to draw in. What's great about the Eye Brow Duo is that the pencil is angled, and is more or less the perfect length, so that I can draw the perfect width and shape it really easily. 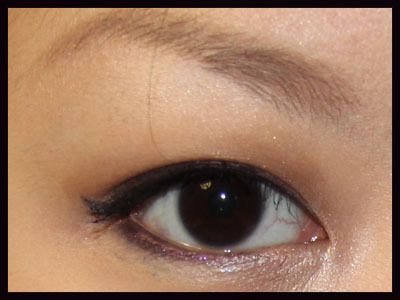 It reminds me a lot of the Shu Uemura eyebrow pencils, because of the angle and width of the pencil. It has a one-up on Shu Uemura though, because it retains its shape without me having to bring it in to sharpen at the store. It's not exactly similar to the Shu pencil though - the texture of this pencil is a lot waxier, so the overall effect is lighter brows (think Pixiwoo) instead of the dark, defined eyebrows (think Megan Fox). My eyebrow done using the Eye Brow Duo. This eye crayon is beautiful. I love all things Taupe, and this is no exception. The formula is smooth and pigmented and looks lovely, but be warned, you will need to layer this product if you want to get it to look anything like the original colour. This crayon fades really easily with just minimal blending. 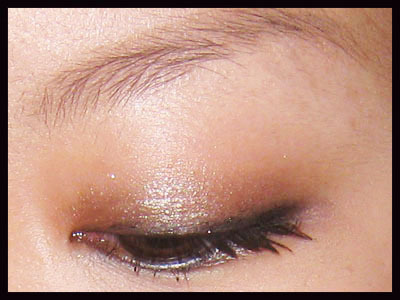 It works beautifully as a base upon which to layer other eyeshadows, but on its own, it needs to be re-layered and blended a couple of times before the colour and intensity start to show. As far as staying power goes, this crayon is actually good! I always think that when something is more a creamy than powdery texture, that it isn't going to last and will crease all over and melt off my face. I was pleasantly surprised today when I applied only this crayon to my lid, and came back to find everything intact! Both products come double-ended. The Eye Brow Duo has an eyebrow gel (did nothing to hold my crazy brows in place) and the Eye Crayon has a little brush at the end (wipes the product clean off instead of blending it out). I'm not a fan of both of the 'other ends' but I really like the actual products. The Eye Brow Duo retails for AUD 25 at Bloom stockists, and the Eye Crayon retails for AUD 25.